Scott Vevers Chartered Accountants. Experts in Bookkeeping & VAT. We offer a complete Bookkeeping & VAT service for a monthly fixed fee especially designed to suit your business. Scott Vevers have trained staff that can help you implement the software. Our staff are able to access your accounts online with your permission to assist with any questions that you have. We can help with any software that you are using. 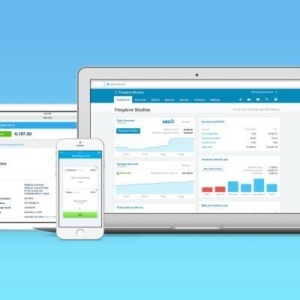 Xero, Sage One & QuickBooks Online are leading the way in a new range of cloud based online accounting software together with Clearbooks, Kashflow and Free Agent. They offer everything you need to run the accounts side of your small business or start up. Software companies specifically design these products with small UK businesses in mind. They have a number of features that make sure you stay in line with the UK regulations. Contact Scott Vevers Chartered Accountants to find out more about the Bookkeeping & VAT services that we provide. We offer a free initial meeting in order to discuss how we can help you in more detail.